Not to be outdone by Dell, Acer will be slashing prices off a number of its own laptops and monitors in honor of President's Day weekend. Sales will last until February 23 with many of the online deals already available. Notable offers include the Aspire 7 A717 gaming laptop with GTX 1060 graphics for $920 USD and the Nitro 5 AN515 with Ryzen 5 2500U APU for $580 USD. Last generation GTX gaming laptops have been dropping in price and the Aspire 7 is no exception. We recommend avoiding the Aspire 3 A315 with the AMD A9 SoC, however, as this particular processor is old and extremely slow even for basic word processing and video streaming tasks. While Acer's sale looks to be smaller than Dell's, it is at least easier to follow than Dell's convoluted approach. Check out our full reviews on some of these laptops first before committing to a purchase. -The Acer Nitro 5 AN515-42-R5ED, with an MSRP of $699.99, will be on sale for just $579.99, a $120 savings. This gaming notebook is powered by an AMD Ryzen 5 processor, 8GB memory and a 1TB HDD, providing a good balance of powerful features with a sharp and stylish design at an affordable price. -The Chromebook 15 CB515-1HT-C2AE, regularly priced at $349.99, will be on sale for just $299.99, a $50 savings. This is our newer Chromebook 15 with an aluminum chassis, Full HD display and long 12-hour battery life. -The Chromebook 15 (CB3-532-C47C), regularly priced at $199, is on Rollback this week for $179, a $20 savings. It’s actually already started… so it should last at least this week, as all Rollback deals work. The Chromebook 15 is a great way to get online for less than $200 and includes a 15.6-inch display, SD card for expanding beyond the 16GB of flash storage as well as HDMI and USB 3.0 ports. 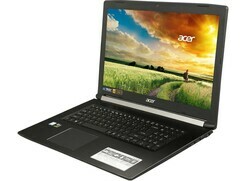 -The Acer Aspire TC-885-UR12 regularly priced at $549.99, will be on sale for just $399.99, a $150 savings. This desktop PC is powered by an Intel® Core™ i5 processor, 8GB DDR4 SDRAM and a 1TB hard drive. 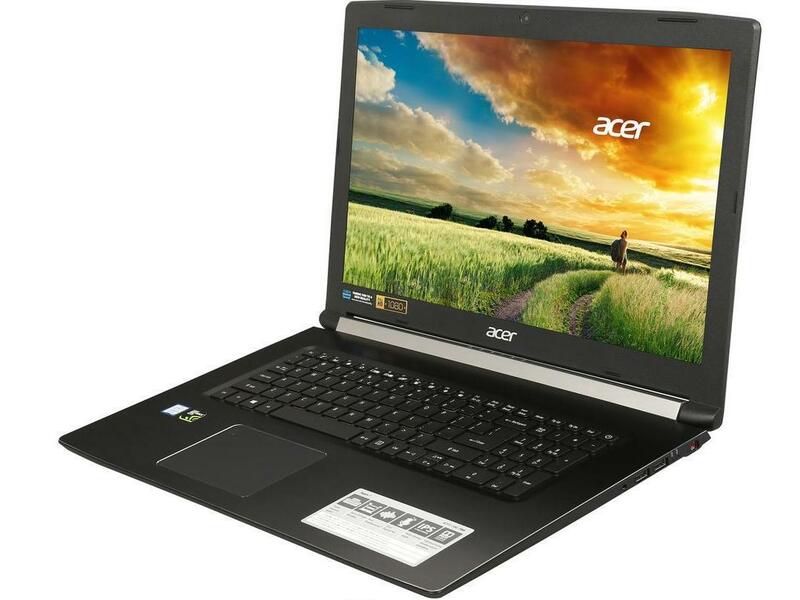 -The Acer Aspire 5 A515-52-526C regularly priced at $629.99, will be on sale for just $499.99, a $130 savings. This all-around mainstream performer comes with a Core i5 processor, 8GB RAM and a 256GB SSD. -The Aspire 7 A717-72G-700J, regularly priced at $1199.99, will be on sale for just $919.99 after a discount and $30 savings with a limited-offer promo code 212PPDC55, (which will be listed on the site). This is a great system for creators thanks to its huge 17.3” display, Core i7 processor, Nvidia GTX 1060 graphics, 16GB RAM and 256GB SSD. -The Acer KA240H, a 24-inch 1080p monitor, regularly priced at $119.99, will be on flash sale for just $89.99 Feb. 17-19, for a $30 savings. -The Chromebook Spin 15 CP315-1HT-P1K8, regularly priced at $449.99, will be on sale for $369.99, Feb 17-23, an $80 savings. This Chromebook is part of our Spin series convertible line, which can be transitioned into four modes with its 360 degree hinges. It has a Full HD touch display and a large 64GB of storage. -The Acer K242HYL, regularly priced of $149.99, will be on sale for just $79.99, a $70 price drop, making this 23.8-inch Full HD, wall-mountable monitor a great deal. -The Aspire 3 A315-21-95KF, regularly priced at $399.99, will be on sale for $249.99, a $150 savings. It’s powered by an AMD A9 processor, 6GB RAM and a 1T HDD. The Aspire 3 line can be easily upgraded with access doors to the memory and storage. -The Aspire 3 A315-41-R3RF , regularly priced at $549.99, will be on sale for $299.99, a $250 savings. It’s powered by an AMD Ryzen 3 processor with 8GB RAM and a 1TB HDD. The Aspire 3 line can be easily upgraded with access doors to the memory and storage.